Romeo Marquez Jr. - Empowering the NOW GENERATION to maximize their GREATNESS! Empowering the NOW GENERATION to maximize their GREATNESS! Empowering the NOW GENERATION to maximize their GREATNESS. Join Our VIP list for FREE tips to transform the life & business you deserve! Inspiration to Recharge Your Passion, Potential & Purpose"
Officially a #1 Best Seller on Amazon! Working with Romeo has been an absolute pleasure, as his vision, passion, and commitment to making a positive difference in the world is SECOND TO NONE." 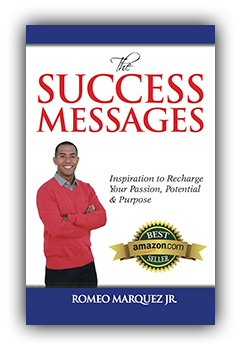 Romeo Marquez Jr. is an international motivational speaker, transformational trainer, and success coach. He has delivered over 1,000 presentations to more than 200,000 audience members worldwide at various conferences and trainings covering topics such as Leadership, Motivation, Effective Communication, Video Marketing, and Public Speaking. 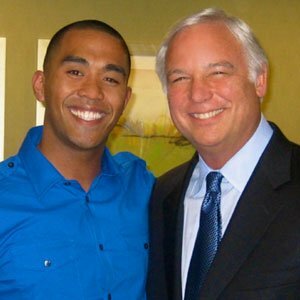 He works with celebrities, business professionals, entrepreneurs, educators, and students to maximize their greatness so they achieve extraordinary results.